Today “everybody” does e-marketing, and a lot of companies do it even without a plan. Here is the first pit hole – don’t do e-marketing just because everybody else does it. E-marketing is a professional way of mass-communicating a commercial message to a large target group. Sending an e-mail once in a while does not cover e-marketing, and it’s nothing we all hate more than spam in our mailbox. I am sure you have, like me, received newsletters or DM’s in the mailbox from companies you have never been in contact with, and nothing is more irritating. Apparently the sender is not paying much attention to opening rate, and working after the principle of “If I cannot overwhelm with my quality, I will overwhelm with my quantity”. Another important point is that by law (for example a common emarketing regulation in all EEA countries) it is forbidden to send out e-marketing to contacts who are not your customers and who has not approved to receive electronic communication. This will become even more important under GDPR. 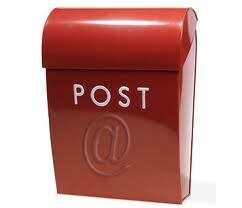 E-marketing is an excellent and low cost way to mass distribute a message to a large group of contacts. It can be measured and personalized, and can be used for sales, brand building and to build customer relations. So what do you have to do to avoid that your electronic communication is regarded as junk, and instead being perceived as good value and expected information? Why do you want to use e-marketing, what to you want to achieve and who do you want to communicate with? Let’s say you have a database with 4000 contacts, which includes customers, prospects and partners. They all have different needs when it comes to the sort of information they want, and on a personal level also a different interest. You have to decide how deep you want to segment your contacts. A good start can be to send out one newsletter to each target group, 4 times a year. Then you can work on the content and escalate the editions after year one. The foundation for all e-marketing is data with good quality. If you have a contact list with only 50% e-mail addresses, you have work to do before you start mailing. To collect data and store it in an organized way is essential for all successful e-marketing. A lot of companies use and prefer a CRM system which not only supports your marketing efforts, but the whole organization. You will then have all data in one place with visibility and history open for everybody in your company. When you have all your data stored in a system, you can easily make selections for your e-marketing, segmented the way you want it. Segmentation criterias can be position, geography, customer type and interests. Each time you send out a large mailing you use mail server space, and some even have limitations on how many e-mails that can be sent in one go. There are many vendors in the market who offer easy-to-use e-marketing tools which are online and provide good mailing statistics. Today most companies us HTML-mailings. Research show that designed mailings get a higher opening rate than normal text based mailings. There are a number of messages you can send out using e-marketing, but be clear on what you are sending to who. If you send a newsletter to existing customers, you need value content. Value content can, for example, be interviews with a profile in your industry or a white paper. Of course you can market your product or service, but if “buy from us” is the only theme, then this is not a newsletter but a sales DM. It is important to separate the kind of content in specific messages. This way the receiver knows what to expect. Some might want to receive your newsletter but not an invitation to a seminar or information about product updates. As you segment your e-mail list, you need to segment your content. If the recipient gets valuable knowledge and the message is expected, you will have a much higher opening rate, and build customer relations. Opening rate. Open rate is a measure of how many people on an email list open (or view) a particular email. The open rate is normally expressed as a percentage, take email opened divided with email sent (-bounces). A good opening rate is between 20-30 %. CTR (Click-through Rate). A measure of the number of recipients who click on from an e-mail message to a website. HTML editor. An editing environment which makes is easy to make complex mailings in HTML. ALT attributes. Picture text which is shown instead of a picture when the picture gets blocked, for example in Outlook. To read more about other marketing topics, a good place to visit is: http://www.marketingsherpa.com or you can download the email marketing best practice guide here.